The term "chronic oil pollution" is used to describe a persistent release of oil at a low concentrations that result from the inefficient extraction, transportation, and consumption of oil. Approximately 75 million gallons of oil are released into waters of the United States each year; 26.7 million gallons of this total originate from chronic sources, including run-off from land-based activities, recreational marine vehicle use, and atmospheric deposition. 47 million gallons on average are released from natural seeps and 1.5 million gallons result from tank vessel spills. Chronic oiling affects marine wildlife through lethal and sub-lethal effects, including slowed growth or reproductive rates, altered physiological functions, and molecular-level changes (hormone and DNA disruption). Through the disruption of reproduction cycles and changes in other population dynamics, chronic oil pollution affects the stability of the marine ecosystem as a whole. Chronic oiling "hotspots" in the United States include the Gulf of Mexico, the northeast Atlantic seaboard, and coastal California. 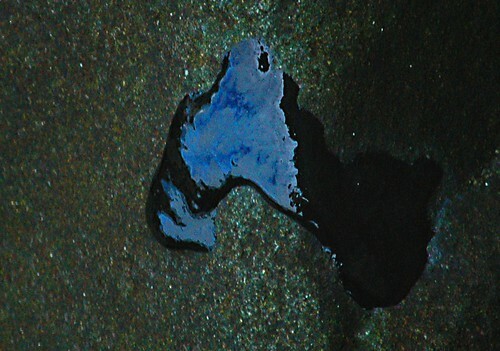 In the United States, the main federal legislation regulating oil spills, the Oil Pollution Act (OPA) and the Clean Water Act, are not being applied to prevent and respond to chronic oil releases. The OPA, which was passed in 1990 after the Exxon Valdez accident, has been successful in decreasing accidental spills from tank vessels, but has not adequately combated chronic discharges of oil pollution. Earthpace prepared a white paper that (1) outlines the extent of oil pollution from catastrophic and chronic sources in the United States, (2) describes the effects of oil pollution on marine wildlife, (3) critiques the existing legal framework for controlling oil pollution at the federal level and in select states, and (4) presents case studies of chronic oiling events. The white paper concludes by presenting recommendations to raise awareness to the issue of chronic oiling and to limit future releases through legislative and communication strategies.